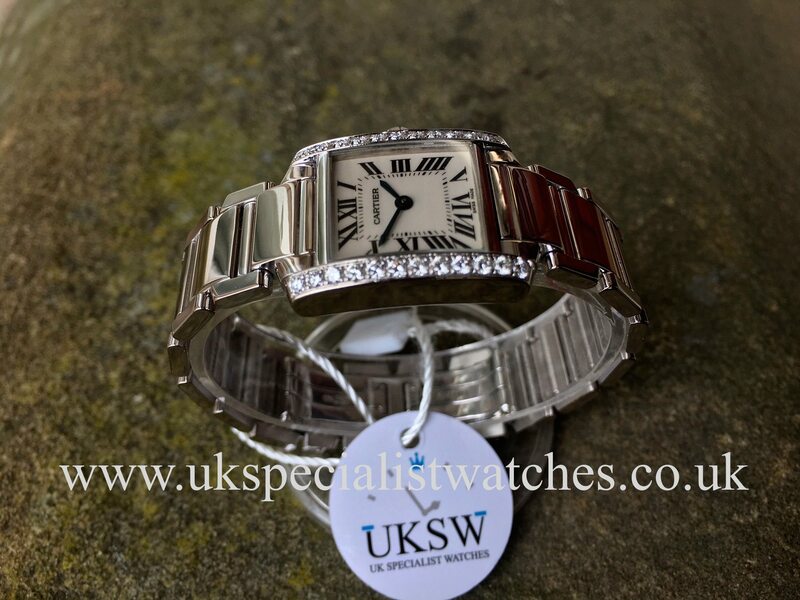 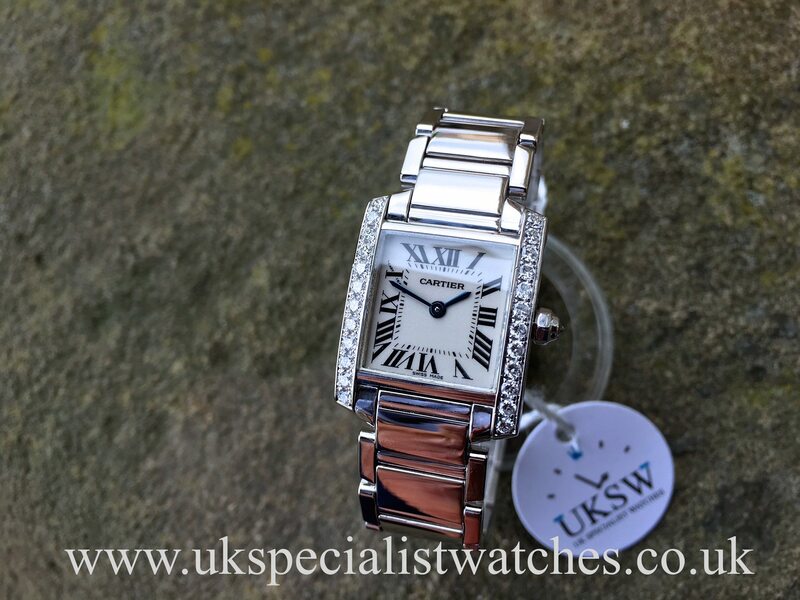 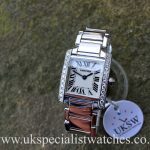 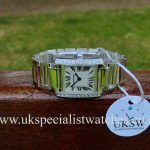 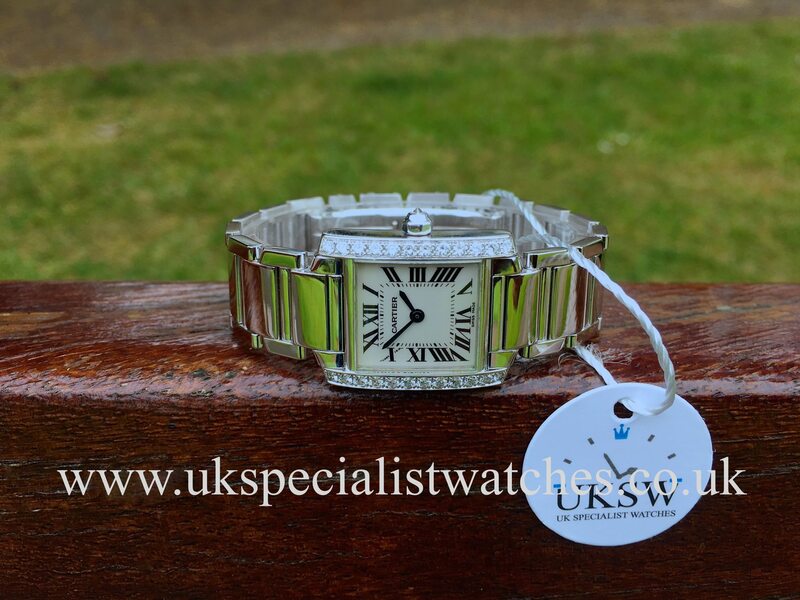 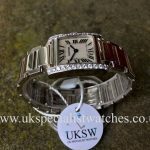 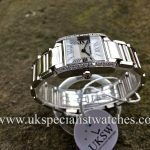 Cartier Tank Francaise Ladies with a solid 18ct white gold 20mm case. 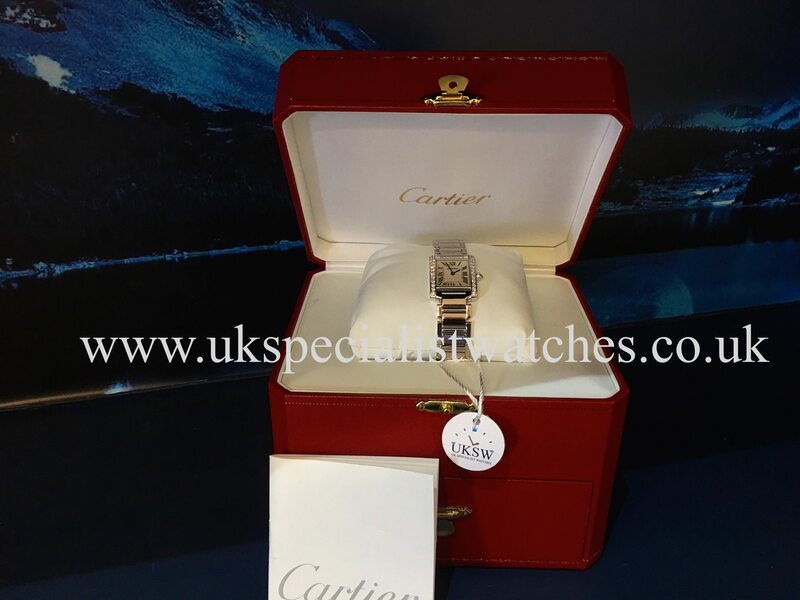 Cartier factory set with 12 perfectly matching diamonds down each side of the watch case and diamond set crown. Ivory dial with black roman numerals and cartier’s secret signature at 10 o’clock. 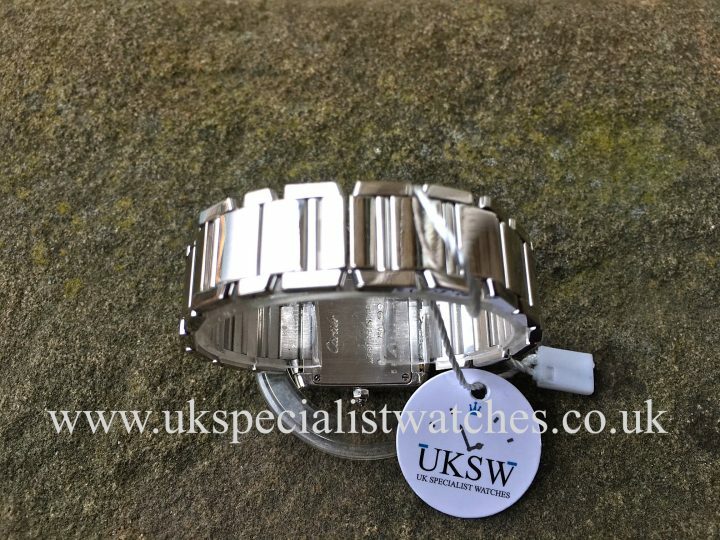 Fitted with a highly polished 18 ct white gold bracelet with double folding clasp. 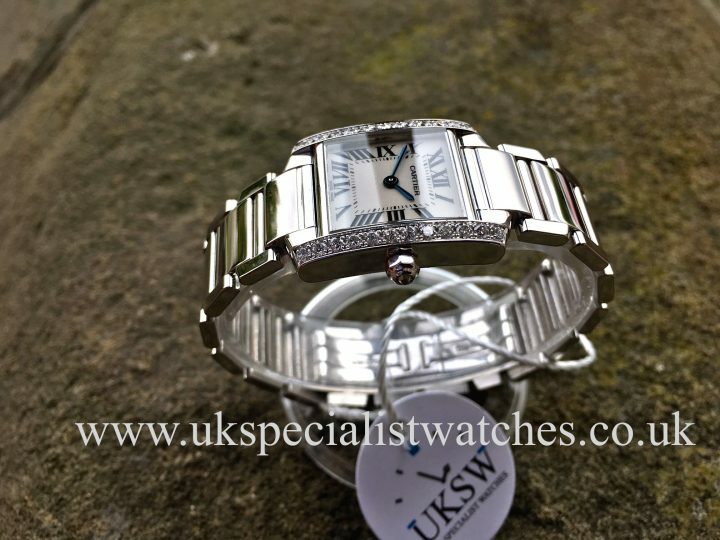 Sapphire crystal glass, water resistant to 30mts and powered by Cartier’s quartz movement. 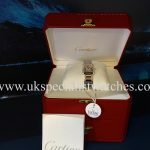 Our one owner example comes with box only. 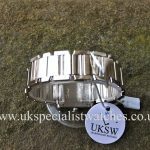 UK supplied new in 2001.